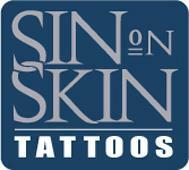 Sin on Skin Tattoos is a long standing, AWARD winning, downtown Halifax tattoo studio. We ensure all clients receive a friendly, relaxed, professional experience, in a safe and sterile environment. Offering you the very best in customer service to make this tattoo experience memorable for you and to ensure your return. Artists in the studio have "Blood-borne Pathogen & HIV Certification" and a full understanding of the necessary safeguards for cross contamination prevention. This is to ensure proper handling and disposal of any bodily fluids they may come in contact with during/after your session. Our artists also use VEGAN Friendly inks for our clients and provide you with full aftercare for your new Tattoo! The studio has been in downtown Halifax area since 1998, prior to Sin on Skin we had been known as Skintastic Tattoo Studio. It was one of the oldest studios in Halifax, the first and only studio to ever be certified (inspected) as well as recommended by the Board of Health. At that time and in the present, we hold our standards higher, ensuring we provide a safe experience at the studio. We are also one of the few studio's that have fully private and air conditioned tattoo rooms for our clients. We've built a strong connection & presence within our community; becoming involved with events, auctions, schools, government and local businesses. Our biggest event is our work with the local Sheriffs for "Justice Scores for Wishes" and "Pitches for Wishes". These events raise money for local "Make a Wish" children in need, held twice annually. We were also lucky enough to come on board when they did their "Justice for the Cure" (breast cancer) events, all together we've helped these events to raise over $107,000.00 and sent many more children to live their dreams then we ever could have hoped for.